Exploring three different countries in a stretch sounds exhausting and exorbitant. But if you are taking a voyage on a cruise, it’s possible. So, book your Star Cruise package now and experience this cruise liner which is a destination in itself! How about experiencing some Bollywood movie shots in your real life? Get abroad Super Star Virgo of Star Cruise and indulge in some filmy moments, great hospitality, excellent range of activities and fun! My three nights four days voyage comprised of sailing in Andaman Sea starting from Singapore with shore excursions at Penang (Malaysia) and Phuket (Thailand). Well, as always I did my google search on the cruise liner and its services. I was quite surprised to know that the cruise liner has capacity of 1804 passengers with 902 cabins. I was amazed at the very first sight of this gigantic cruise ship – Super Star Virgo which was docked at the shores of Singapore cruise terminal. It was one of the Kodak moments of my life when I was standing at the shore staring at this giant-like structure in awe-amazement. The 15-storey high cruise stood incredibly excellent on calm water, as if posing for the best shot. After my love at first sight, I moved to my second love – shopping! Vivocity at Singapore Cruise terminal can prove to be a heaven for shopaholics. Since we had one hour extra before boarding the ship, I tried my best to peak in every possible store and get the best out of it. Looking at the queue of people waiting to board the ship, it feels like watching hungry people waiting for food – the crowd looks maddening. This proved that the ship is going to be fully loaded with passengers. After immigration clearance, we were ushered through a gate where a welcome band stood in all its festivities. Few mascots greeted us and posed with us for a photo-op making us feel like a ‘Star’! Red carpet was all that was missing. The lobby of the cruise seemed nothing lesser than a five star hotel where welcome drinks were served. I was informed that the liner houses more than 25 food & beverage outlets, entertainment and recreational outlets. I booked myself a State Cabin with balcony which was not big enough but had all the basic amenities. The balcony was simply and truly ‘Your own piece of ocean’ as marketed by the cruise-liner. The balcony was well equipped with a relaxing chair to sit back and hear the serene sound of sea waves...Truly mesmerizing! Within minutes of boarding, we were told to assemble out on the pool deck where all the safety techniques were demonstrated. When I reached at the pool, there was a huge crowd waiting for the safety drill. The pool looked so inviting that I have sworn to swim in but never did; next to the pool was hot Jacuzzi and water slide which I wanted to try but never did either (as I was busy with so many other activities on the cruise). After observing the safety drill, I went to the edge of the ship to see the cruise liner moving away from land and entering the sleepy blue sea. Suddenly the ship honked thrice and off we sailed. I felt small in front of nature, especially in the deep sea, where there was only water till the endless stretch. I felt my heart sinking when I saw the piece of inflated rubber which was the only thing between me and the seabed. It was an amazement to see an aqua-phobia person like me enjoying the cruise vacations without any intake of medicines. In between the ‘happy mental state’, my tummy started groaning and I headed to Mediterranean Buffet and Terrace restaurant which is known as the ‘food factory’ of the ship. It was nice to see so many options and varieties in food for a pure vegetarian like me who can happily eat endlessly. After making my tummy happy, I thought of making my eyes relaxed by a small nap in my small but luxurious cabin. I had a soothing experience to hear the sea to unwind all my senses and take a siesta. After a relaxing sleep, I was all charged up for the evening. Since it’s compulsory to wear semi-formals for dinners, I dressed in formal attire and started towards Bella Vista. The cruise also offered endless options to me to burn those extra calories. A gym to work out (Universal Gymnasium), good number of clubs and bars to chill out (Galaxy of the Stars, Celebrity Disco, etc), karaoke club for making new friends (Out of Africa) or visiting the well-maintained library. Also, on board entertainment at The Lido (Show lounge), The Picture House (Cinema/ Auditorium), casino called Oasis (Game of chance), The Mahjong Room (Mahjong Games), Starlight Video Arcade (Video Game), etc. are engaging enough to keep you busy for the entire trip. If one is traveling with kids, no worries – the giant cruise liner also has Charlie’s Child Care centre with end number of games and pool activities which can make your little ones forget about you. Considering these numbers of amenities and entertainment joints, I started thinking whether four days will be enough for me to experience all of these things. This was all about the on-board facilities and my experience on Star Cruise. 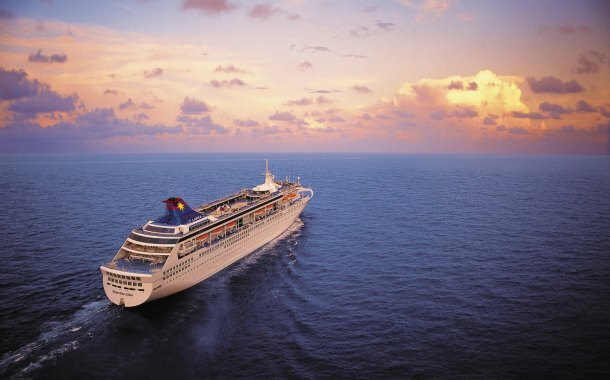 In the next part of this blog, I will talk about the on-shore excursions offered by Star Cruise. These excursions help you explore the destinations on your voyage without any hassle. So stay connected and plan your cruise vacation now!